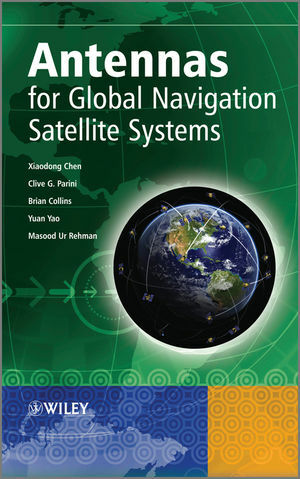 In this book, the authors discuss the various aspects of GNSS antennas, including fundamentals of GNSS, design approaches for the GNSS terminal and satellite antennas, performance enhancement techniques and effects of user’s presence and surrounding environment on these antennas. In addition, the book will provide the reader with an insight into the most important aspects of the GNSS antenna technology and lay the foundations for future advancements. It also includes a number of real case studies describing the ways in which antenna design can be adapted to conform to the design constraints of practical user devices, and also the management of potential adverse interactions between the antenna and its platform. This book will be an invaluable guide for antenna designers, system engineers, researchers for GNSS systems and postgraduate students (antennas, satellite communication technology). R&D engineers in mobile handset manufacturers, spectrum engineers will also find this book of interest. Xiaodong Chen is a Professor in Microwave Engineering at Queen Mary, University of London. His research interests are in microwave devices and antennas, wireless communications and bioelectromagnetics. Clive G. Parini heads the Antenna & Electromagnetics Research Group. His research topics including array mutual coupling, array beam forming, antenna metrology, microstrip antennas, millimetrewave compact antenna test ranges, millimetrewave integrated antennas, metamaterials and on-body communications. Brian Collins has designed antennas for a very wide range of applications, from radio and TV broadcast antennas to base station and handset antennas. Yuan Yao received Ph. D degree in electronic engineering from Tsinghua University, China. His research interests include antenna design, antenna array analysis and design, and microwave circuits design. Masood Ur Rehman is a final year PhD student in Queen Mary, University of London, UK. He received B.Sc (Hons.) degree in Electronics and Communication Engineering from University of Engineering and Technology, Lahore, Pakistan in 2004 and completed his M.Sc in Wireless Networks at Queen Mary, University of London in 2006.